Calder Heath, heir to a large mining company, returns to South Africa from years of living abroad in England following the suicide of his father. However, all is not well at the mines. Two violent mauling deaths among the black laborers have renewed gossip about a curse on the Heath family, and Calder awakens following the full moon covered in blood, with no memory of his recent actions. Granley, a long-time clerk at Heath Mines, recounts the story of the curse to Calder. After an illicit affair with his housekeeper, the elder Heath abandoned the young girl from the black township when he discovered she was about to give birth to his illegitimate child. When the child died from a tragic, but preventable, illness, the grieving mother channeled her anger at Heath through a curse, twisting his naturally leonine features against him. The light of the full moon would transform him–and all his male descendants–into a bloodthirsty man-lion! 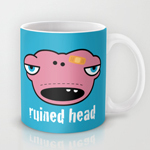 If you can have a werelion, why not a wereaardvark or even a weresloth? Calder desperately tries to shield his delicate wife, Eunice, from his bloody escapades at night, while deflecting suspicion from his gruff American mine manager, Sam York, and the slovenly, but deceptively astute detective assigned to investigate the deaths. Struggling against the growing realization that he is responsible for the grisly killings plaguing the mines, Calder calls upon the old witch in the township for aid. 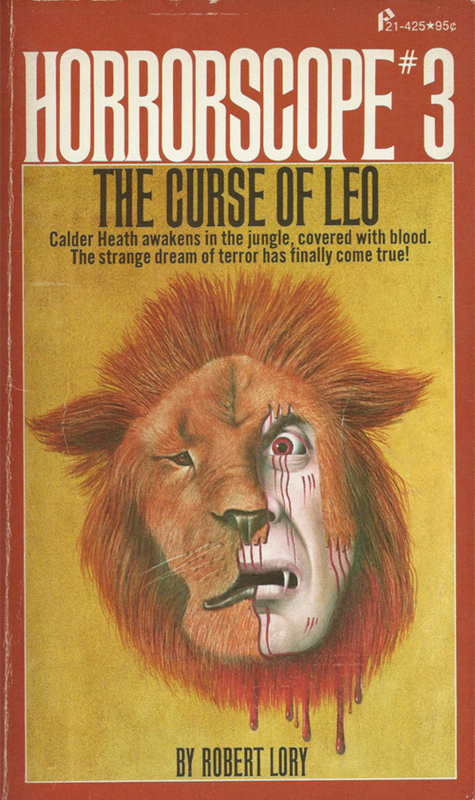 A straightforward revenge curse and monster-run-amok tale, with the resulting character anguish, for most of its page count, The Curse of Leo eventually throws a twist worthy of the Scooby Doo playbook—before turning back again at the conclusion. Although multigenerational curses always seem inherently misguided (afflicting innocent descendants), Calder does prove himself to be violent and despicable enough to (arguably) warrant his curse. The very real horrors of the South African mining industry, with its history of forced labor and oppression, remain completely unaddressed, providing only convenient decoration for the werelion to roam. In a short prologue echoing that of the first book, a mysterious figure in a long grey robe and hood makes an invocation, activating one section in a radial symbol on the floor of a strange, cave-like chamber. Mad laughter accompanies his call to Taurus for a deadly story, designed for our—the reader’s—amusement. What follows is less an astronomical Danse Macabre, than a retelling of Agatha Christie’s And Then There Were None. Leander Maxwell, a has-been movie producer whose old-fashioned subjects have long fallen out of favor with modern audiences, summons a group of old associates to his remote house in Crete, ostensibly for one last film project. 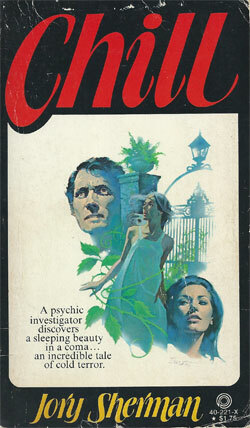 Ed Banner, an American screenwriter specializing in European genre films, and his fledging actress love interest, Michelle “Mike” Conant, arrive at Maxwell’s isolated estate only to find that the other guests have little information regarding the new film, other than the prospective title,The Labyrinth. While waiting for the appearance of their host, horror strikes, and all gathered come to realize the true nature of their congregation. The ever-dwindling guests are directed through increasingly elaborate and believability-shattering traps in Maxwell’s labyrinth of revenge. Some personality flaws and weaknesses, such as gluttony and fear of dogs, are exploited, as characters are torn apart by vicious dobermans, drowned in a vat of valuable wine, and impaled upon a wall of spears in a slowly contracting room. 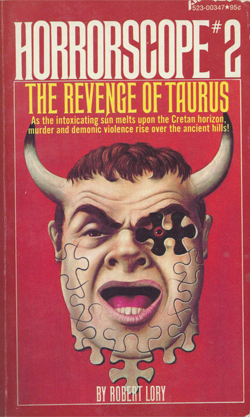 To ultimately answer the question, “What does all this have to do with the robed figure from the prologue?”, the anticipated figure of myth makes an appearance—thanks to the location of Maxwell’s estate on the site of the original ancient labyrinth of Minos—if for no other reason than to allow the story to circle back to the zodiac theme. Gilligan’s Island meets the Twilight Zone in the first installment of the Horoscope series, when an ill-fated cruise ship from Hawaii encounters a mysterious castaway, whose presence traps the passengers in a mystery that they can neither escape nor understand. Beach bum and petty grifter Mark Larimer accepts an invitation for a cruise aboard the Silver Lining, a party boat overseen by Dora Davage, a former sculptress and aging socialite well known for her Bacchanalias. 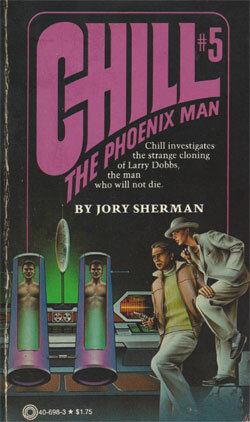 Dora has personally assembled a diverse group of thrill seekers, including Harlan Hickey, a rock star complete with two fawning young groupies; Professor Randall Warren, expert in multiple areas of arcane knowledge; Narda Charles, raven-haired beauty whose husband was previously lost at sea, and who seems to have a covert connection to the boat’s captain; Avery Sorg, porcine banker and former enemy of Larimer’s from a previous encounter in Philadelphia; Lelsi “with an i ” Cross, midwestern schoolteacher determined to see the world; and Mr. Cantos, a mystery man in a formal attire seemingly ill-suited to the tropics. The party comes to a premature end when Lesli spots a man floating on a makeshift raft. Pulling him aboard the Silver Lining, the passengers are horrified to discover that the survivor is near death and eyeless, muttering incoherently about pirate treasure. Clutched in his fist, however, are a pair of mysterious gold doubloons, minted in an unknown ancient language and depicting the image of a grinning goat. While arguments rage over returning to port or pursuing a course to find the treasure, explosions rock the boat, crippling the engines and leaving it adrift. Left to ponder their circumstances, all aboard are further panicked by an inexplicable fog, advancing from three directions and casting their crippled ship in an impenetrable cloud cover. 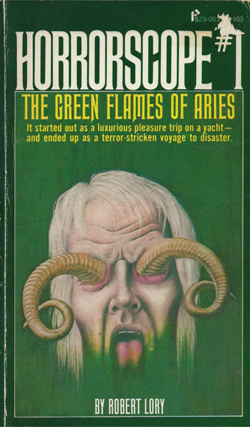 Similar in form to familiar Twilight Zone scripts, the trapped characters in The Green Flames of Aries reveal their true motivations and clash with each other while attempting to understand the nature of their seemingly supernatural predicament. The initial mood here is everything, rich with the uncanny and the stricken, sightless castaway. This atmosphere mostly sustains itself, before eventually dissipating to score some rather easy points on the nature of human greed, and twisting around to a circular, predestined conclusion. On holiday break, eighteen-year-old student Diane Deeth travels to Lucifer Cove, the mysterious spa dedicated to the pursuit of hedonism on the secluded coast south of San Francisco, to check on the health and well being of her mother. Christine Deeth, leaving a broken marriage and her two children behind, previously checked in to the resort to calm her troubled nerves, but has since been unwilling, or seemingly unable, to leave. Diane meets Bill Janocek, another outsider entering Lucifer Cove with his own agenda. Bill is the brother of Nadine Janos, High Priestess of the Devil Cult that performs satanic services at the Grecian-style temple on the hill high above the spa community. A freshly graduated cub reporter, Bill seeks to write an exposé on the criminal element drawn to the permissive lifestyle at Lucifer Cove. His main target is Warren Kittmer, a young Manson-like group leader who, although never been officially charged by the police, brags of his involvement in a thrill killing of a family in Los Angeles. Diane finds her mother in generally good spirits, but notes that Christine seems unusually anxious for her daughter to leave Lucifer Cove. 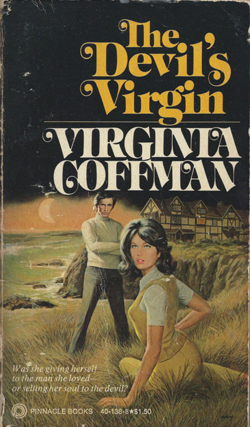 Diane suspects that her mother may be romantically involved with another of the Cove’s residents, and that the relationship may be at the root of Christine’s reluctance to return to her regular family life. Meanwhile, Diane spends much of her time weighing the potential of her own romantic possibilities. 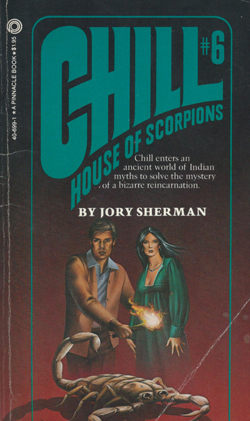 Although she develops a growing fondness toward Bill, helping him in his investigations, she cannot seem to resist the darkly magnetic charms of Marc Meridon, the elusive owner of a major share in the resort. 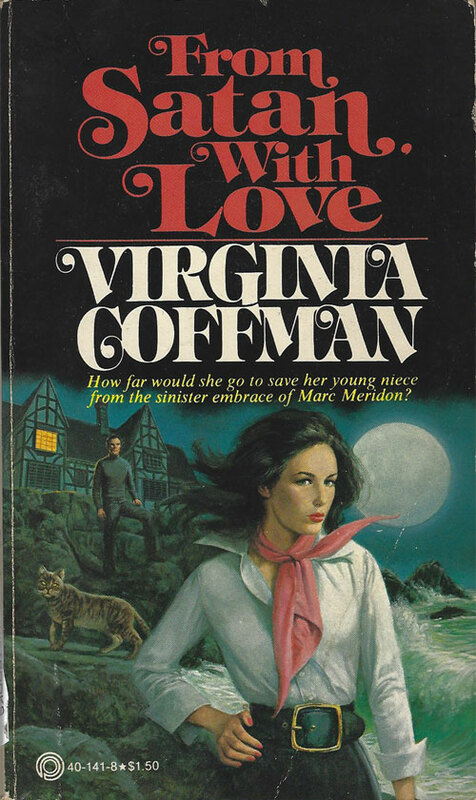 Since readers of the earlier Lucifer Cove novels already know of Christine’s relationship with Marc Meridon, the long drawn-out revelation comes as no surprise. The bigger mystery is why no one else at the resort would inform Diane of the identity of her mother’s love interest. 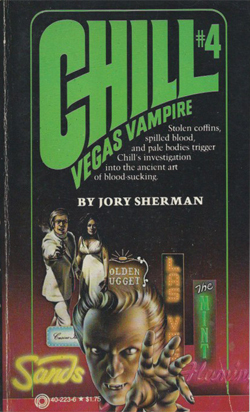 Although Diane finds a dead body and experiences some supernatural manifestations, the main pull of the story revolves around implicating Warren Kittmer in the murders. However, the pimply-faced adolescent killer is such a minor character at Lucifer Cove that his eventual takedown bears little weight. Nadine Janos also suffers from a lack of continuity from the previous books, disappointingly slipping back into a smaller, more caricatured role. She was treated to a full-blown, more nuanced character study in the earlier series entry, Priestess of the Damned. Even in her newly diminished capacity, Nadine still fails to be consistent in her behavior. She quickly turns from an aggressive disinterest toward Diane, to a full acceptance of Diane’s poorly conceived plan of attack on Kittmer and his group of followers—a plan that unthinkably calls upon Diane to lead Nadine’s cult service at the temple. 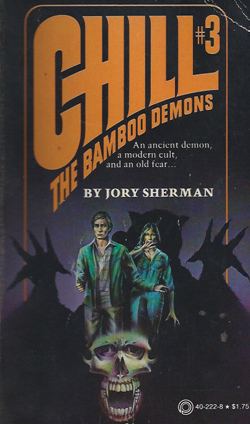 Even putting aside the supernatural elements and taking the book simply as a piece of romance fiction, The Devil’s Virgin has difficulty delivering any tension. Between Marc Meridon’s otherworldly hold over Christine Deeth, and Nadine Janos’ love-hate relationship with her Irish handyman assistant, Diane really only has one candidate to embrace—the “square” with the warm, muscular arms.